Workshop ‘Learning how to learn’ was organized yesterday at Ravelijn by Komma, the study association of Educational Science and Technology. The event aimed to help students enhance their learning experience as a lifelong learner. Thelma Stobbelaar, UT-alumni and owner and founder of Didactus an educational development consultancy, opened the stage by taking the audience through a neurological journey of how our brain functions across different ages. She highlighted how the understanding of our brain and the way we interact with our environment in the form of experiences and emotions can help us enhance our learning experiences and capacity. Stobbelaar shared her idea of using emotions and multiple senses during learning a new knowledge with the students. She also introduced the role and effect of praise on enhancing one's learning capabilities and self-concept as a learner. Alieke van Dijk, UT researcher, introduced her study on iSelf, a concept on Independent Learning. She believes teachers and curriculum builders should address and make the 'why' behind the learning very clear to students from the start. She added on Stobbelaar`s approach of using praise for motivations and contributed how constructive and complete feedback is essential for effective learning and understanding of the students. ‘The framework is a response to the problem most universities face: that teaching is not being as rewarded as it should be,’ says Ruth Graham. 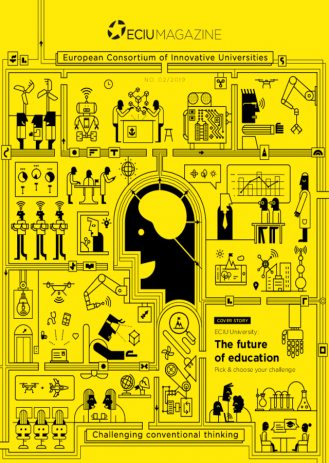 As part of the Week of Inspiration, the education consultant is coming to the UT today to give a talk on ‘the future of engineering education’. ‘How can we learn from people who are funny?’ Yesterday, University of Minnesota researcher Barry Kudrowitz held a lecture in the DesignLab called ‘How humor and play fuels innovation’, explaining how silly ideas can fuel creativity. What makes a good teacher? Where does the passion for passing on knowledge come from? In the series ‘Meet the teacher’ we focus on people who are truly dedicated to education. In this episode we introduce Victoria Daskalova, Assistant Professor in Law, Governance & Technology.